Today, I’d like to introduce you to the RHP author whose children’s book, Morgidoo’s Christmas Carol, is arriving on shelves everywhere. 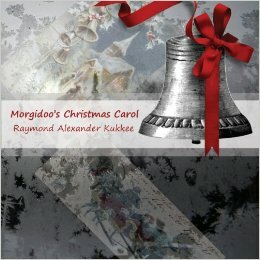 Congratulations on your new children’s book, Morgidoo’s Christmas Carol! You published the book previously; can you tell us how your first experience is different than this one? Thank you Robin, it’s certainly a pleasure to talk to you! Having Morgidoo’s Christmas Carol taken into print by Rocking Horse Publishing is really exciting because MCC is really my first officially completed book manuscript. MCC, as a unique Christmas classic for all ages, was initially published as an E-book simply because it seemed a relatively fast, independent way to get the book and the story out there. Everybody was talking about E-books, so away I went with it. Being a complete newbie, I too soon discovered I had no idea about the amount of work or the difficulties involved in the process — and the typical and potential mistakes that can be made by new authors. I did persist, and the learning curve was pretty steep; I was self-editing, producing, and struggling with different E-book formats in Smashwords and KDP Kindle. Cover design, file size limitations, and photo sizing issues were only a couple of the tough issues I encountered on my own. It wasn’t simple by any means. Coming to Rocking Horse Publishing to go into print by comparison — was easy, a dream come true. Having the support of professional editors is a huge relief, never mind all of the technical details and choices required to get an actual book assembled. One other point, in retrospect, I suspect I was too close to the MCC story to clearly define the essential elements necessary for a great cover design — which you and RHP did beautifully. No comparison, hands down, this has been a much more enjoyable process. So, who IS Raymond Alexander Kukkee? That’s a tough question. At times I wonder myself. 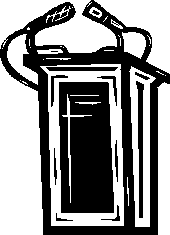 Although one of my favourite sayings is ‘know thyself,’ I’m not convinced that anyone can really answer that question about himself adequately without objective separation. In observation, Raymond Alexander Kukkee — the man — is a believer in God, a dedicated observer of humanity, a critical thinker, a private, logical person, and is married with adult children and young grandchildren. He has lived in Northwestern Ontario for the majority of his life. An honors college graduate, his education, and highly varied technical, management, business, and practical experience, have all conspired to make Raymond a Jack of all trades. Living the rural life, Raymond, enjoys gardening, building, prospecting, fishing, and the great outdoors, including animals and the natural environment. He enjoys reading, woodwork, ceramics, inventing, music, photography, oil painting, and of course, honing skills including the fine art of writing. Raymond — the writer — is a published author, very independent, probably too stubborn, quite outspoken, and a highly opinionated blogger at IncomingBytes.com . He is also a published freelancer with hundreds of articles out there, and a storyteller who enjoys writing dialogue and character-driven works. His favourite genre is fiction; he does write customized niche articles upon request, songs, short stories, flash fiction, screenplays, and poetry, but is primarily focused on works of fiction. His favourite authors are some of the greats: John Steinbeck, Harper Lee, Charles Dickens, Hemingway, and Ray Bradbury. You’ve also written a novel – tell us about The Fires of Waterland. It still sounds strange to call my novel The Fires of Waterland because I worked on that manuscript for such a long time referring to it as ‘Liv Manlin.’ It is experimental fiction that ended up being a 328 page novel classified as ‘historical fiction.’ FOW is a layered, complex, character-driven project that seemed to take forever to write — with a few extended time-outs on the shelf while life happened and the muse and characters argued, thought-out, and consolidated the events. The story itself is threaded with the social attitude of the ‘50s, the universal deterioration of rural villages, the unrealistic expectations and illusions of living ‘happily ever after,’ dreams and hopes, disturbing truths — and survival. An abandoned boy becomes very attached to people, including Livvy Manlin, people who love and care about him — but he’s officially considered an orphan, so he’s yanked away to an orphanage, where he grows up to see the stark brutality and the reality of life the hard way. *Actually, Robin, I’d really like to take time to thank you specially here; I want our readers to know that you were the very first person to read the manuscript that became The Fires of Waterland — you read it for me while it was still called Liv Manlin. The reality is that it was your inspiring comments with reference to John Steinbeck’s works that encouraged me enough to get serious about publishing The Fires of Waterland. Interestingly, as I recall, you were also one of the first people to read Morgidoo’s Christmas Carol and started Rocking Horse Publishing only a few months later, so timing is everything isn’t it? I always have a number of works in progress, some collecting dust too, but at this time I’m focusing on couple of new novels. I also have several children’s books in various stages of completion. One last question: really, how cold is it up there in Canada? In Northwestern Ontario at the top of Lake Superior, upon rare occasions, it can be almost as hot in summer as it is in Missouri, but this morning (Dec.13th) it was only -35C (about -20F) and the wind made it feel close to -40C (-40F) which is pretty cool isn’t it? It’s dry cold, so it’s not bad once you get used to it. We get a couple of weeks of this special ‘Canadian’ weather every year and laugh. If you hear anything too much colder than -45F, or -60F for the far North, it’s the stuff legends are made of — the truth. This entry was posted in Publishing and tagged canada, kukkee, morgidoo.